RIP Officer Rittner. My sympathies are with your family, colleagues and friends. Thank you for your 17 years of service and the sacrifices you made to protect the city of Milwaukee. Prayers go out to you, your loved ones and the Department. Rest in Peace, Officer Rittner.
" 'Bessed are the peacemakers, for they will be called children of God' (Matt. 5:9)." Gone, but never forgotten! Matthew, your life has both inspired me, and reminded me why I have chosen to pursue this career. Rest in peace! As a Retired LEO, it especially hits home to lose a young Officer and Marine of such good caliber. To his Wife, Son, Family, and fellow Officers and members of the MPD and his Military Family, may you remember Matt for all the good he has done in his short life. Thank you all for your service and sacrifice. My thoughts and prayers are with you and your family. You are a Hero Office Rittner. Thank you for doing your job. Rest in peace Dear Brother. God bless. "HEROES LIVE FOREVER"
My condolences to the family and friends of Police Officer Matthew Rittner. Losing a loved one is always difficult. Please take comfort in Jesus words found at John 5:28,29 where he said that there would be a resurrection. Just think of the time when you will see your loved ones again, in paradise conditions, here on earth. I am sorry for your lost. 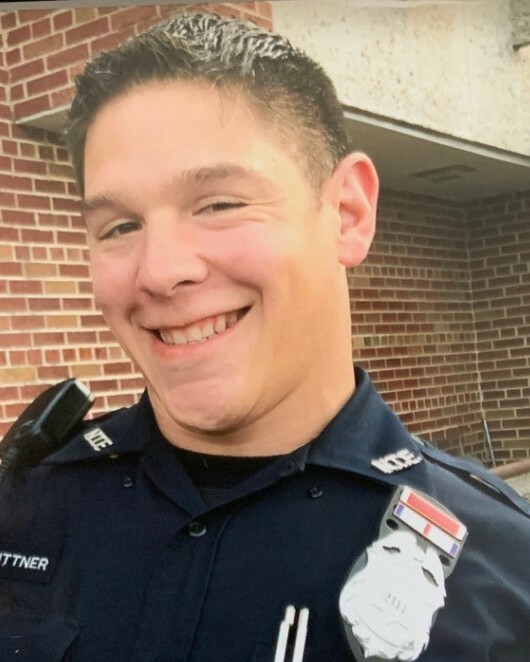 Very sorry for the death of Police Officer Matthew Rittner. So young. Rest in peace. Blessed are the peacemakers. Rest now, brother. Your honor and courage will never be forgotten. Rest In Peace! You will never be forgotten! Rest in Peace Officer Rittner. Thank you for your service. My thoughts and prayers are with your family, friends and the MPD. Thank you for your service Warrior. Blessed are the Peacemakers for they shall be called Sons of God. RIP Brother. He survived tours with the war on terror only to be killed at home. This man is a true hero, where is the general public outcry for his sacrifice? Rest easy brother!